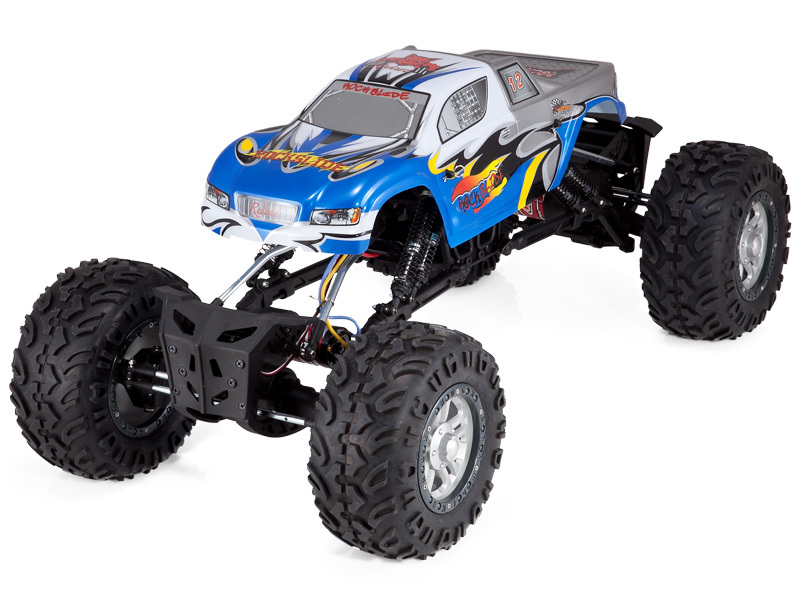 Get ready for the rock crushing, boulder chomping, stone slamming Rockslide 1/8th scale Super Crawler! 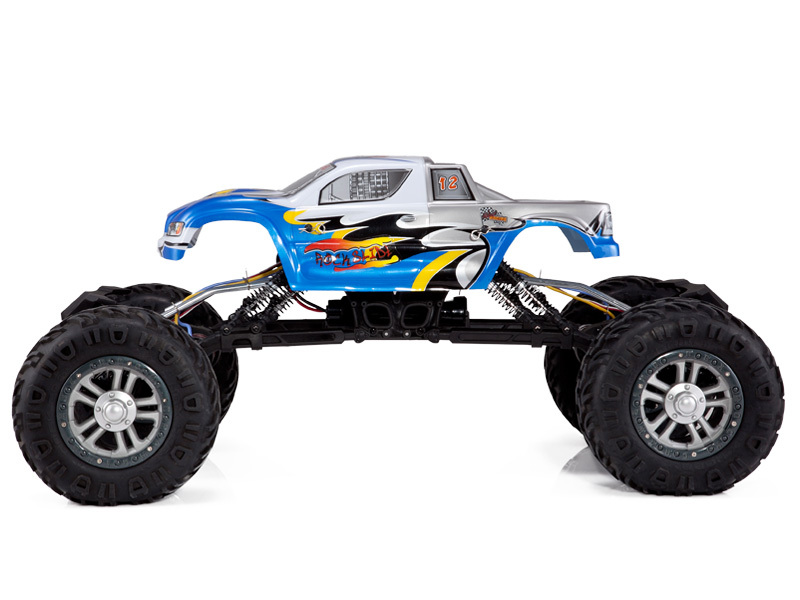 Challenge the laws of gravity with this ready-to-run Rock Crawler, complete with front & rear multi-link suspension, front and rear transmission, two high-torque electric brushed 100T 540 Motors, crawler specific ESC, and multi-select 4 wheel steering. They don't call the Rockslide "Super" for nothing! Four steering modes are easily accessible with the touch of a button. Switch steering modes on-the-fly for front wheel steering, rear wheel steering, four wheel steering, and four wheel crab steering. Steer your way through all obstacles with quick switch, on-the-fly steering! Weighted bead-lock rims ensure the tires remain firmly mounted while navigating the most difficult obstacle courses. Quickly changing tread patterns is a breeze with Redcat's bead-lock rims. 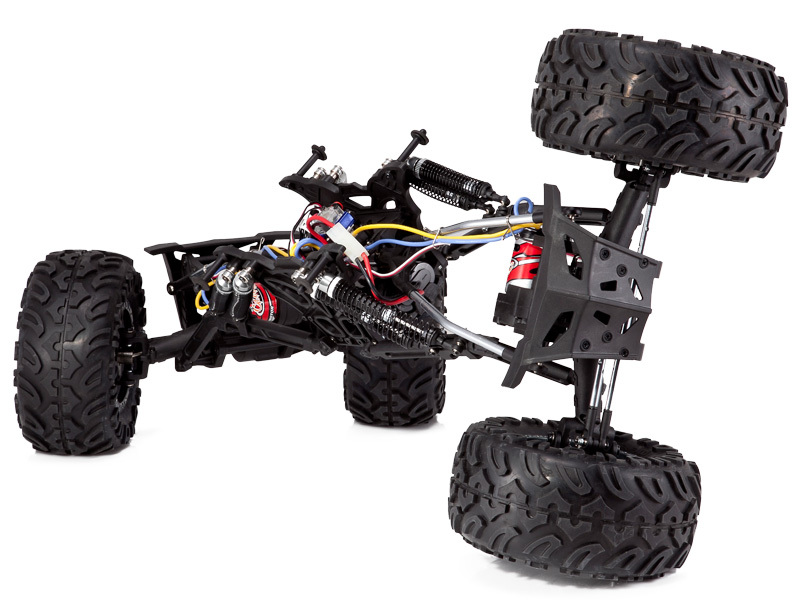 Aggressive bead-lock rock crawling tires, eight aluminum capped oil filled shocks, complete ball bearings throughout, and a three channel 2.4GHz Radio all make this 4X4X4 super crawler more than ready to navigate the most extreme rock challenges! Current shipping model has blue body as pictured, gun metal / gray aluminum parts & bead locks. Some images below do not show current shipping color scheme.